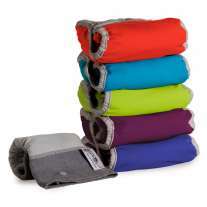 Reusable bamboo baby wipes are soft, eco-friendly and kind on your baby's skin as well as the planet. 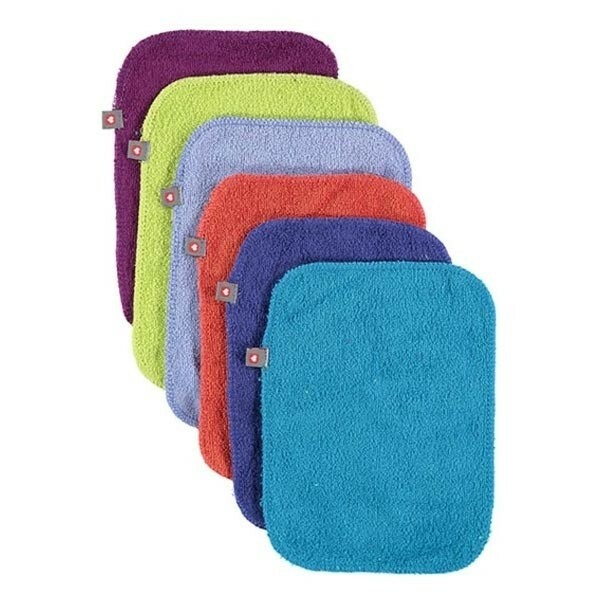 These 10 bamboo washable baby wipes come in a range of five bright colours and are a fantastic reusable alternative to disposable wipes. Cloth wipes are ideal for parents wanting a chemical-free, zero-waste nappy routine and these bamboo wipes are super-absorbent and anti-bacterial too. Use with water to gently cleanse sensitive skin. 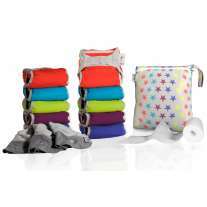 They're not just for baby bottoms - they make great make-up wipes, face cloths and hankies for grubby fingers and noses. These 10 wipes come with a tote bag - just pop them in the bag when they're used and wash along with your dirty nappies or other laundry. There's room in the bag for all the wipes plus one cloth nappy too. 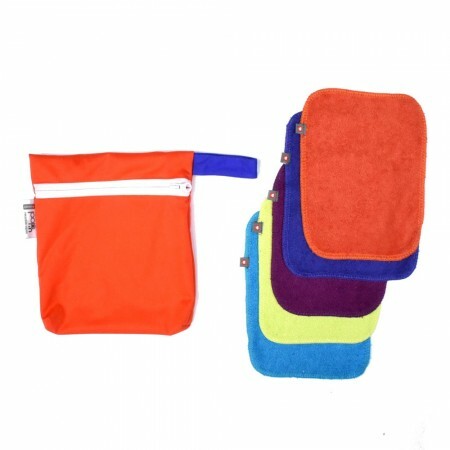 Ethically made from 100% bamboo viscose. 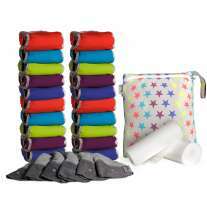 Each wipe measures approximately 19cm x 15cm.